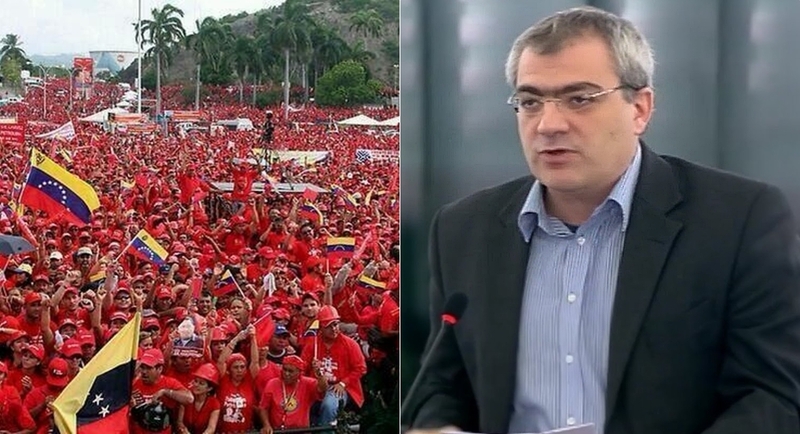 According to the press statement of the Communist Party of Greece (KKE), Kostas Papadakis, Member of European Parliament of the KKE, intervened in the discussion about the 'situation in Venezuela' where 'representatives of capital are supporting the intervention of the USA, NATO, EU in the country's internal affairs'. ''We strongly condemn the open intervention of the USA, the EU, NATO and the governments of Latin America in the domestic affairs of Venezuela and their attempt to impose a puppet-president via a coup. And they also threaten military intervention in order to promote their dangerous imperialist plans as they do everywhere internationally. We denounce the stance of governments like those of Germany, Spain, Portugal etc. As well as that of the Greek government that says nothing about the open intervention of the USA in Venezuela and claims that allegedly the EU "is incapable of having its own foreign policy" when it does not recognize President Maduro and provocatively issues threatening ultimatums. It is only the people of Venezuela that have the responsibility to defend their interests and to choose the leadership of the country.